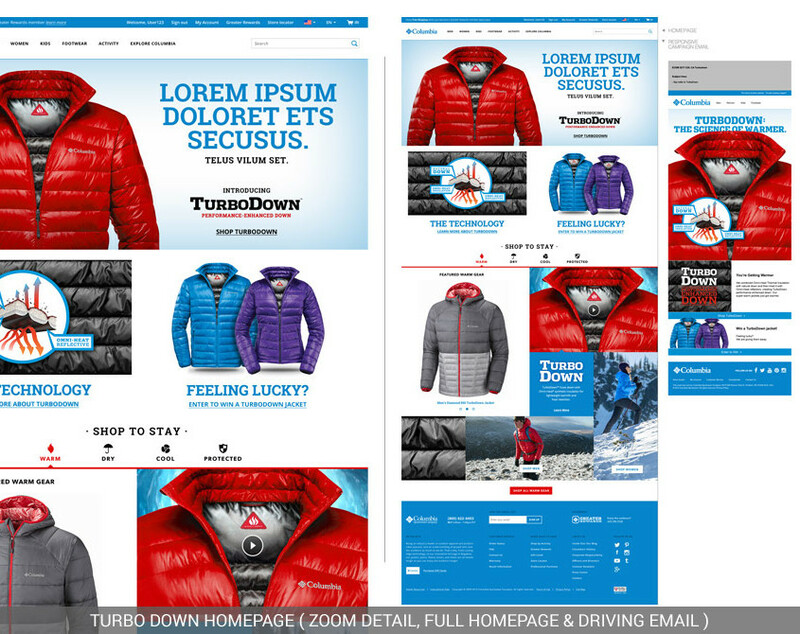 When Columbia launched TurboDown—a new fabric technology—they featured it on the Columbia homepage and inventoried it on its own product landing page. Additionally, Columbia decided to launch an email campaign to introduce TurboDown. The email campaign included a driving email. When users clicked a button on the email, they were “driven” to the homepage. There they found cost-saving incentives for exploring TurboDown products. For this UI project, I created both the responsive homepage and the driving email. The homepage and email were launched as planned, and all teams were happy with the homepage, the email, and the campaign in general.